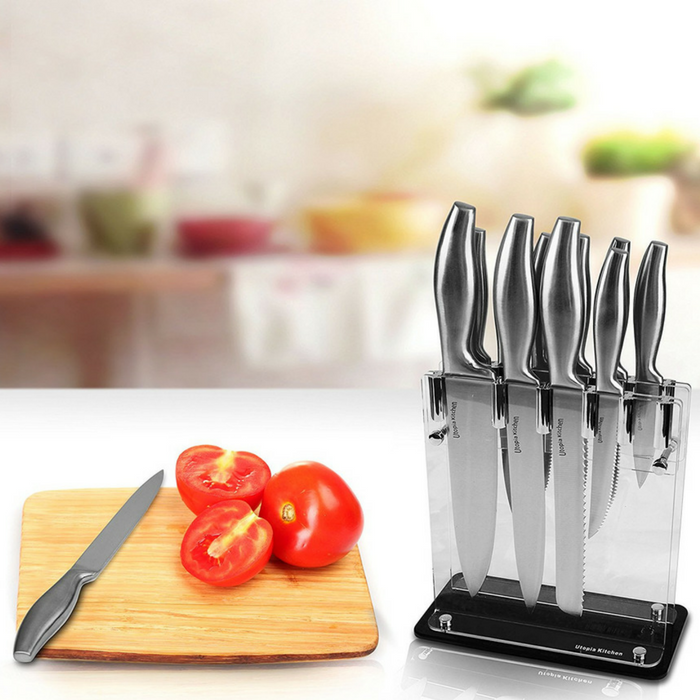 Utopia 12-Piece Knife Set Just $29.74! Down From $300! PLUS FREE Shipping! You are here: Home / Great Deals / Amazon Deals / Utopia 12-Piece Knife Set Just $29.74! Down From $300! PLUS FREE Shipping! For a limited time only! Head over to Amazon to get this Utopia 12-Piece Knife Set for just $29.74 down from $299.91 PLUS FREE shipping!